Cabezon, Antonio de NEW ITEM! For 2 trumpets, horn & trombone. For 2 trumpets & 2 trombones. 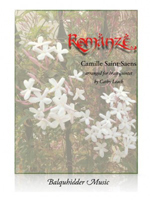 Des Prez, Josquin NEW ITEM! For trumpet, horn & trombone trio. Fortuna d'un Gran Tempo; Cele Sans Plus; Canzone "La Bernardina". For 2 trumpets, trombone, tuba. For 2 trumpets, horn, trombone. Movements by Michael Fischer & Johann Ernst Rembt. 2 trumpets in C, trumpet in BB, flugelhorn, 2 horns in F, 2 trombones, bass trombone, euphonium, tuba. 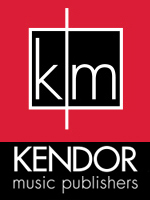 For 3 cornets, flugelhorn, 2 horns, trombone, bass trombone, euphonium, tuba & timpani. 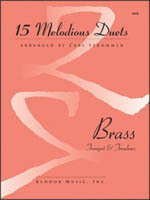 For brass quintet of trumpet, horn, trombone, euphonium, tuba, percussion & timpani. 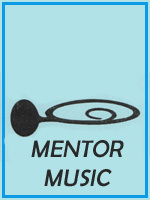 4 Trumpets, 2 Horns, 4 Trombones, Tuba, Timpani and Percussion; 4 movements. The first movement, Jason and the Argonauts, represents the crew of heroes on the "Argo," the ship built to carry them in their quest for the Golden Fleece. 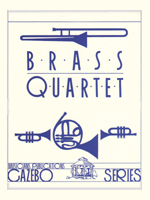 Saint Louis Brass Collective NEW ITEM! Traditional English melody also used for the Christmas tune What Child Is This? 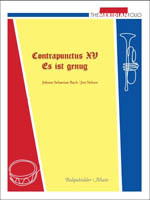 Trumpet on C or Bb, Horn in F.
Haydn, Franz Joseph NEW ITEM! Medley of the tunes Joy to the World, Hark the Herald Angels Sing, It Came Upon the Midnight Clear, Angels We Have Heard on High. Score & parts. Sousa, John Philip NEW ITEM! For standard 211.01 brass quintet (2 trumpets, horn, trombone, tuba). 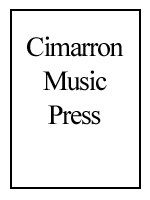 For brass quintet with horn featured (i.e. horn & 202.00 brass quartet) - 5 players total. Hilfiger, John Jay NEW ITEM! 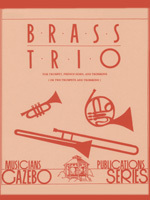 For 111.00 brass trio (trumpet, horn, trombone). 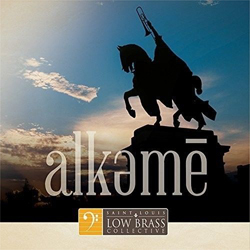 For 211.00 brass quartet (2 trumpets, horn, trombone) & organ. Score & parts. 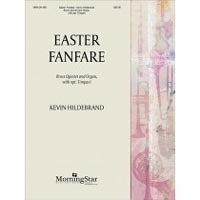 For standard 211.01 brass quintet (2 trumpets, horn, trombone, tuba) & organ. Handel, Georg Frederic NEW ITEM! For 211.01 brass quintet where trumpet 2 plays flugelhorn (trumpet, flugelhorn, horn, trombone, tuba). Meeboer, Ryan & David Marlatt NEW ITEM! De Caurroy, Eustache NEW ITEM! Romantic. Final movement from Bruckner's Symphony No 8 - "Die Apokalyptische." For 9 horns, tuba & timpani. The tuba part is absolutely within the reach of a 10th (low) horn. 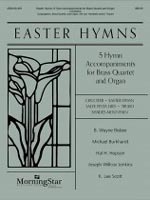 Contents: BURKHARDT Crucifer; BISBEE Easter Hymn; JENKINS Salve Festa Dies; SCOTT Shades Mountain; HOPSON Truro. 21st Century (2018). Ekphrastic - a work of art produced as a rhetorical exercise_a vivid, often dramatic, verbal description of a visual work of art, either real or imagined. 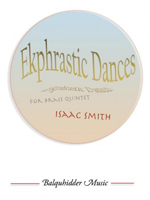 Isaac Smith has created four bright descriptive miniatures for brass quintet, vivid and often dramatic. Four movements are: I. Dynamism of a Dancer, II. Dali's Dance, III. Umbrella Blues, IV. Broadway Boogie-Woogie. 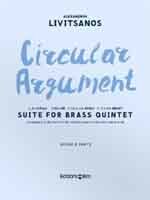 A challenging and rewarding work for an advanced quintet. Winner of the 2015 Dallas Winds Brass Fanfare Competition. For 6 trumpets, 4 horns, 3 trombones, euphonium, tuba & percussion. Includes settings of Viva Autlan; Adios Beloved/La Cucaracha; Mexican Hat Dance. Includes settings of Beautiful Dreamer; Holiday Schottisch; I Dream of Jeannie with the Light Brown Hair; My Old Kentucky Home; Farewell My Lilly Dear; Camptown Races. Schein, Johann Herman NEW ITEM! 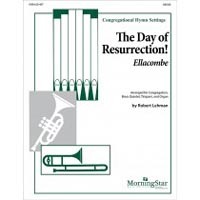 For 12-part brass choir (4 trumpets, 4 horns, 2 trombones, bass trombone, tuba), timpani, percussion & organ. 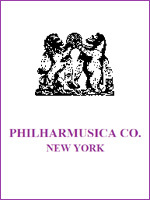 Classic up-tempo circus march that is a favorite for concert and outdoor performances. Score & parts. 20th Century (1914). Classic British military march well known as a theme from the old film Bridge on the River Kwai (and some very old Getty Gasoline commercials!). Originally for standard concert band, here set for brass quintet. 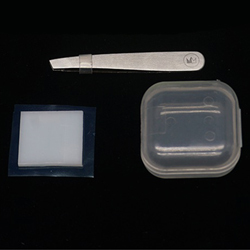 C score & parts. 20th Century (1911). 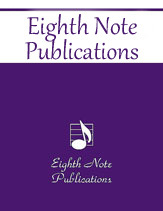 For standard brass quintet & percussion. Set of 6 playing scores. 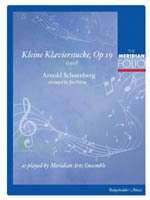 As played by the Meridian Arts Ensemble. 21st Century (2017). 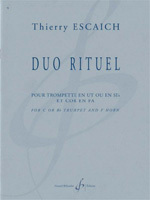 Written for the Montreal Brass Quintet. In five movements: Mount Royal; The River; Bicycles; Notre Dame Basilica; Bon Secours Market. Tchaikowsky, Peter Ilich NEW ITEM! Christmas. Romantic. Score & parts. Holcombe Jr., Bill NEW ITEM! Medley of popular Christmas bell-themed songs. Score & parts. Light Samba featuring solo trumpet and trombone at times. Baroque. For 11-part brass ensemble of 4 trumpets, 2 horns, 3 trombones, euphonium & tuba. Traditional French Christmas carol, for 11 brass. 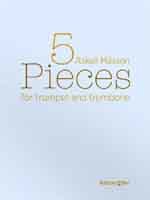 For piccolo trumpet, 3 Bb trumpets, 2 horns, 3 tromobnes, euphonium & tuba. 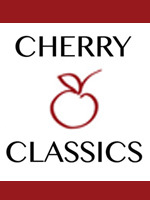 Featuring an array of 15 classics for grade 3-4 players, the musical selections have been carefully chosen and edited to ensure that it is idiomatic for each pair of instruments. Therefore, one book will not be compatible with any other in the series. 21st Century (2017). Trumpet 1 is flugelhorn. 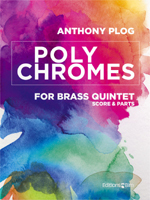 Polychromes combines elements of the first two quintets by Anthony Plog - the bright colors of the Four Sketches and the darker and more monochromatic colors of the Mosaics. The six movements of this Polychromes suite are divided into two distinct parts (1-3 and 4-6) with a wide range of poetic musical entertainment. -Anthony Plog, Freiburg i. Br. Germany, January 2018.